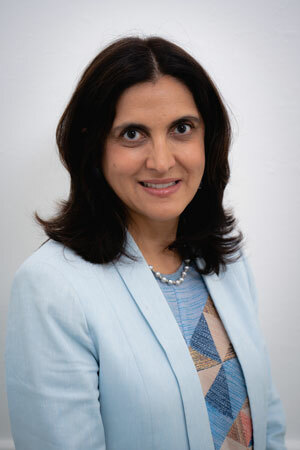 Dr. Joty Manocha, General Dentist, graduated with a Bachelor of Science (B.Sc) in 1985 from Memorial University and completed her Doctor of Dental Surgery in 1989 at Dalhousie University. Since graduation, she has been committed to standards of excellence in the treatment of her patients. She established the Carleton Square Dental Centre in 1994 and has committed herself to this practice and to the care and well-being of her patients. She has spent hundreds of hours pursuing extended training and keeps current with advances in the dental field.Dr. Manocha has participated in numerous continuing education seminars and has participated in many study clubs such as Comprehensive Interdisciplinary Treatment and Education in Dentistry, Renaissance Inter-Disciplinary Study Group, and Vancouver Prosthodontic Study Club. A mother of three children, she extends her sense of integrity, compassion, and concern for her own family to her patients. Dr. Manocha’s main dental philosophy has always been to help you achieve and maintain healthy teeth and gums for a lifetime.